If you haven’t been to Mexico City yet, I would highly recommend planning a trip! It is one of the top cities I’ve ever visited. The city has it all – wonderful people, vibrant culture, cool vibes, amazing food and drink selection, super cool architecture, tons of rich history, and a bunch of museums and parks to check out. An essential item with me for this international trip was my Chase Sapphire Reserve card. I made the most of lots of card perks on this getaway, including earning 3X Chase Ultimate Rewards points on all my delicious meals without having to pay a cent in foreign transaction fees! Thanks to My Chase Sapphire Reserve, I Was Able to Rack Up Lots of Valuable Chase Ultimate Rewards Points In Mexico City! Plus, I paid for round-trip United Airlines airfare from Aspen to Mexico City with the Chase Sapphire Reserve card. So I earned 3X points on this purchase, too! And I earned United Airlines miles at the same time. The Sapphire Reserve also comes with a $100 statement credit for Global Entry. So returning the US was a breeze because I was able to skip past the US Customs line. The Sapphire Reserve is a fantastic card for international travelers. Check our full review of the Sapphire Reserve. I stayed at a cute boutique hotel in the Condesa area called AR 218. This hotel had everything I wanted! My room had a kitchen area with a small stove, sink, and utensils and there were 2 new fresh bottles of water on the counter every day. There is a Starbucks downstairs in the hotel, so you don’t have to go far to get coffee and it’s next to tons of great local food spots. 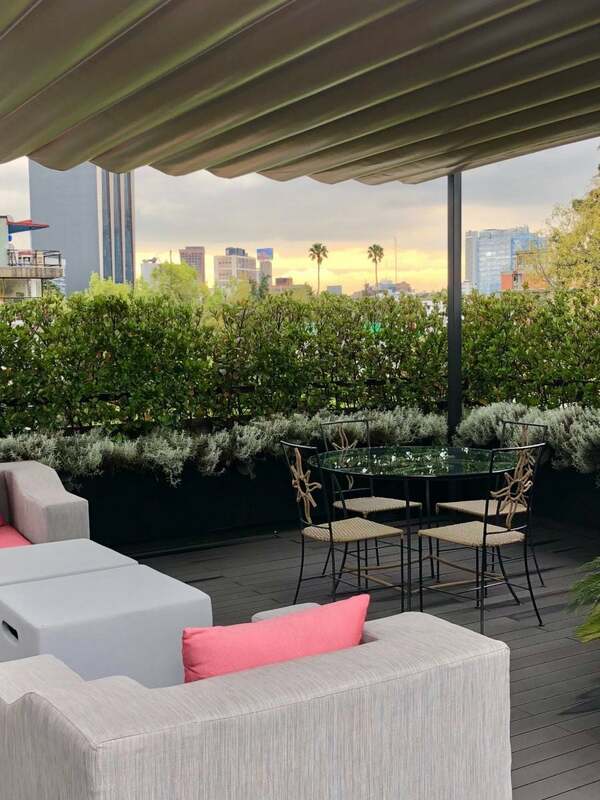 Nice Rooftop View From AR 218 In Mexico City! Also, there’s an amazing rooftop terrace to work from or have afternoon cocktails. The Condesa and Roma districts of Mexico City were my favorite. They are full of art, architecture, parks and have a super laid-back atmosphere. Both districts felt very safe walking alone as a female, which is always a plus. And the areas were full of cute coffee shops, places to drink mezcal, and good food spots on every block. 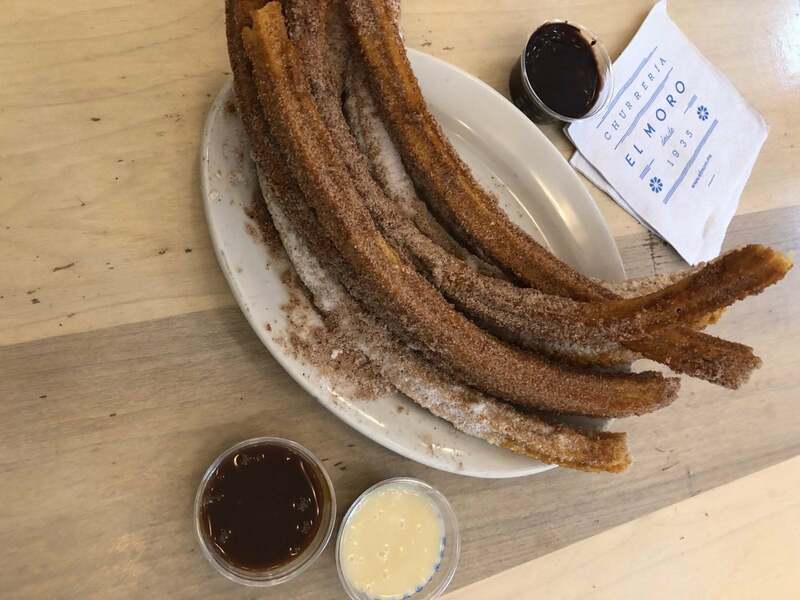 El Moro is a must-try sweet shop that serves churros, hot chocolate, milkshakes, ice cream sandwiches, and coffee. The churros are to die for. The Churros in Mexico City Are Unreal! There’s an awesome local park outside the sweet shop for you to walk off those calories afterward! 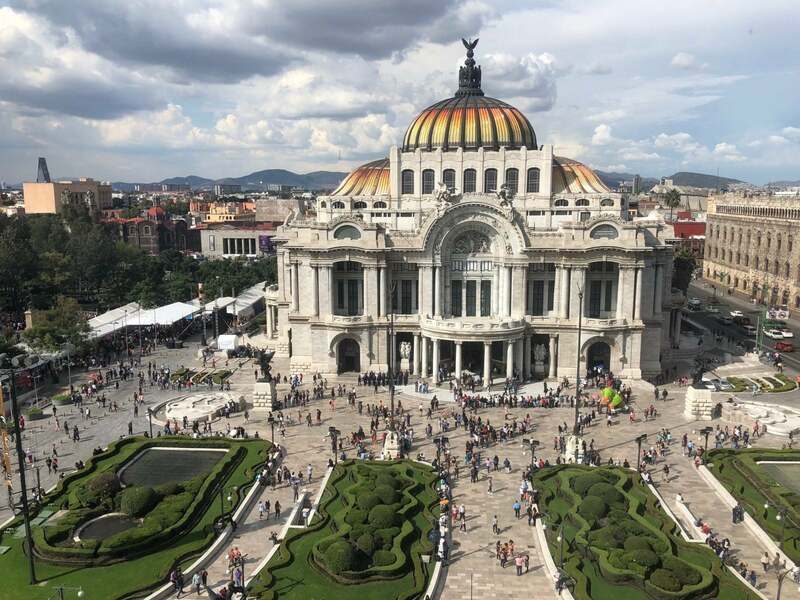 The palace of fine arts or the Palacio de Bellas Artes should be at the top of your things to see in Mexico City. It has hosted some of the most famous music events in the city. Today, it hosts theatre, dance, opera, and art exhibitions. If you have the time, go check out one of the performances! To get a great picture walk across the street to the Sears building and take the escalator to the top floor. You can drink alcohol or coffee on the top and gaze at the beautiful palace as long as your heart desires. Chapultepec Park was my favorite park I visited. It’s huge! My friends and I rented bikes to cruise around the park and explore. You could spend a full day in this park and still not see it all. There are lots of cactus gardens, sculptures, fountains and interesting sections to check out! We Rented Bikes and Rode to Chapultepec Park! 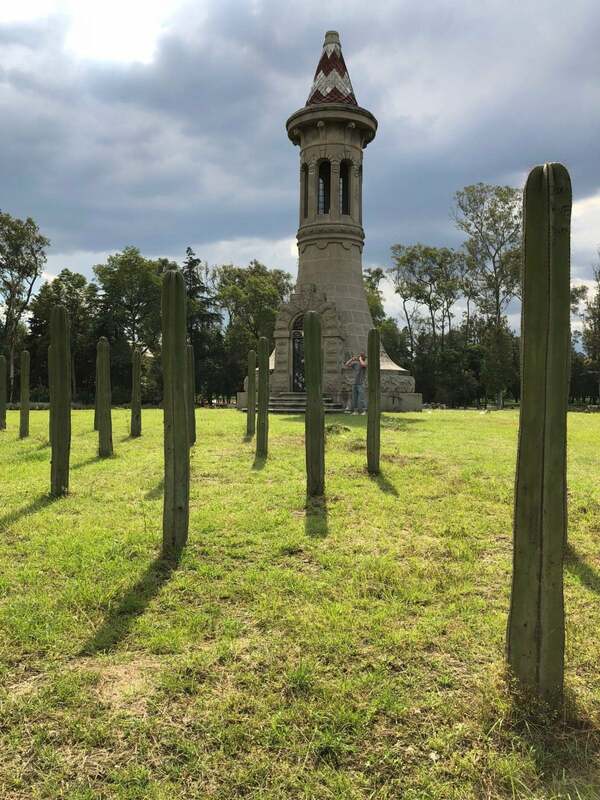 It Was a Beautiful Day for Exploring! Cafe de Raiz in the Roma district was fantastic! It’s small and super local, but perfect if you’re trying to have an authentic Mexican experience. They have a variety of amazing tamales. I recommend ordering one of each! Also, the coffee is delicious and they will make any kind of specialty drink you want. After too many churros, I had to find time to visit a healthy restaurant. Ojo de Agua was an awesome spot in the Condesa area with healthy salads, fish, sandwiches, and fruit. It was definitely a go-to spot for smoothies or a sandwich when I didn’t want to eat heavy. On the weekend, it’s a super popular brunch spot, so if you’re in the area it’s worth checking out. I truly have nothing bad to say about Mexico City and came back with a full belly, happy heart, and lots of Chase Ultimate Rewards points! If you have a favorite spot in Mexico City, comment below and let me know what I missed!